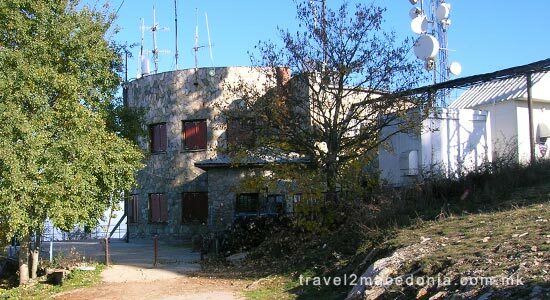 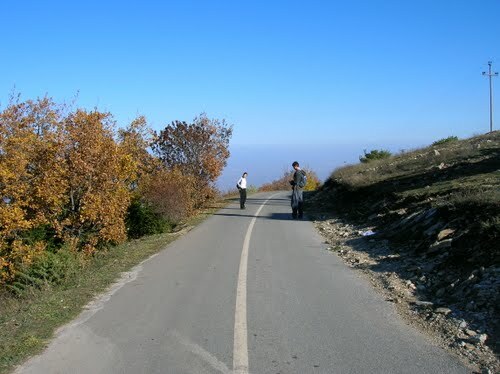 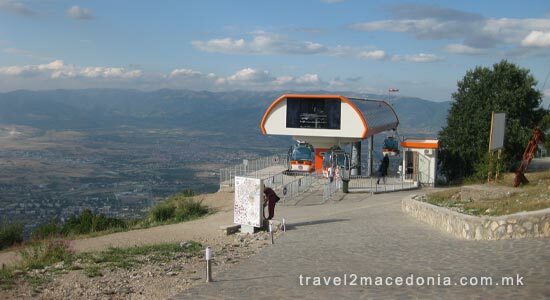 To Sredno Vodno area can be accessed by car or a bus. 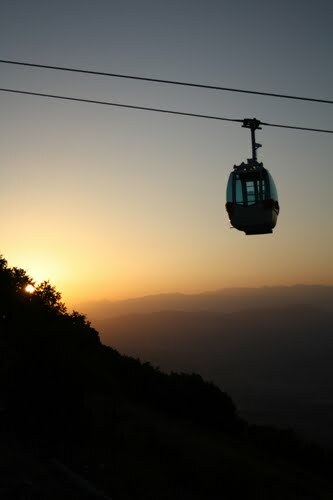 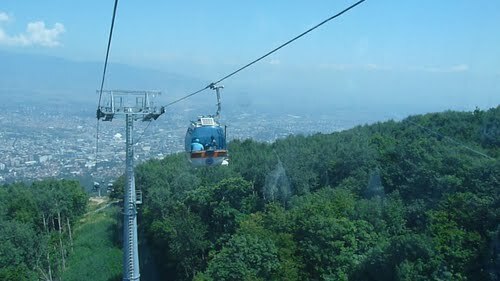 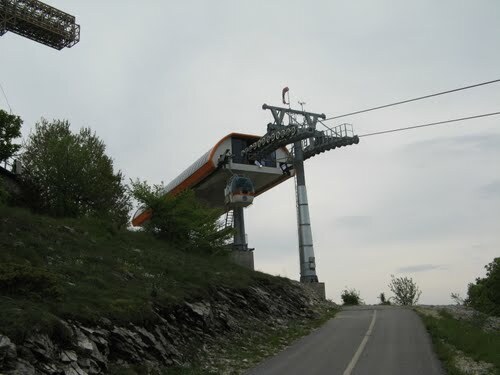 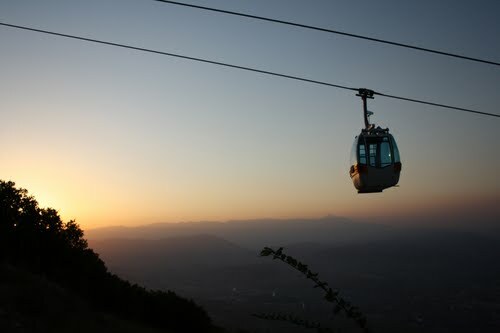 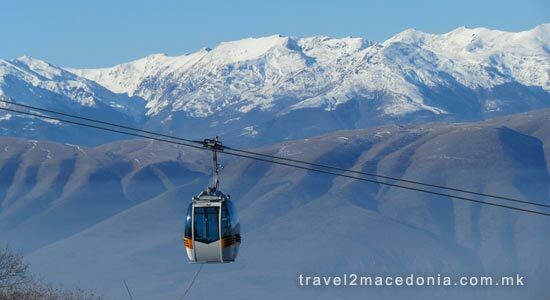 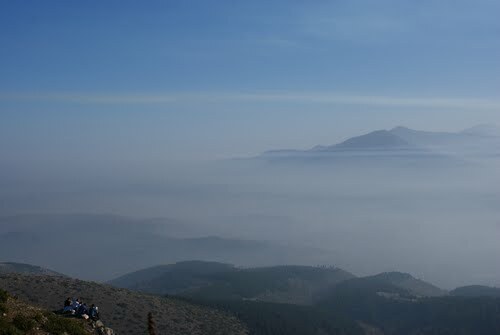 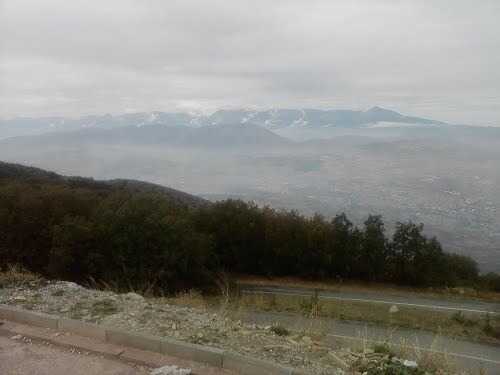 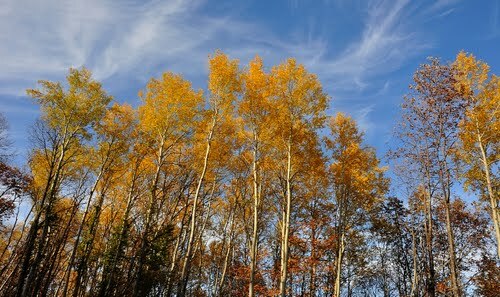 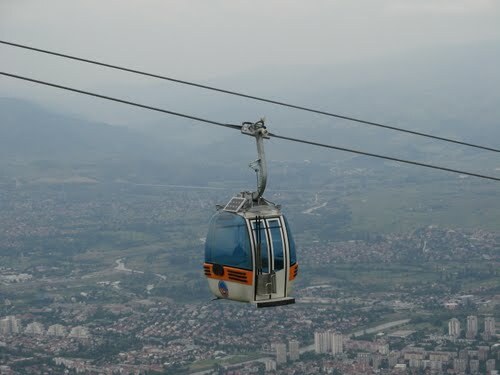 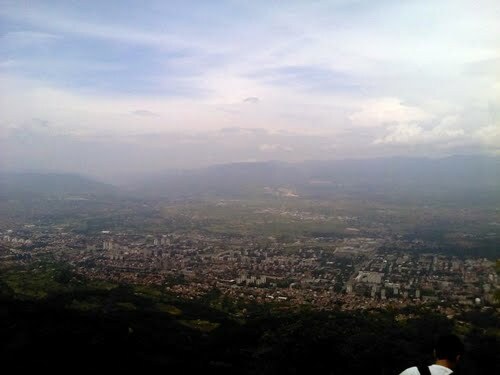 Then on, can be accessed by mountain paths or a cable-lift (ropeway). 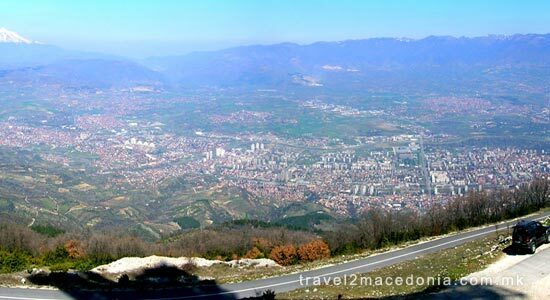 Price per single person is 100 MKD. 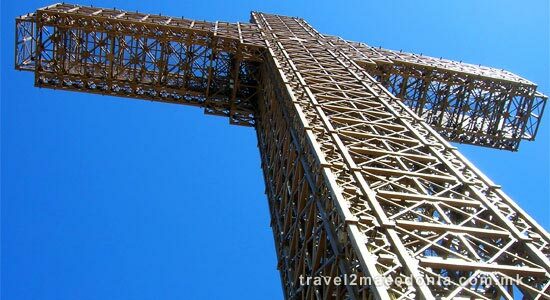 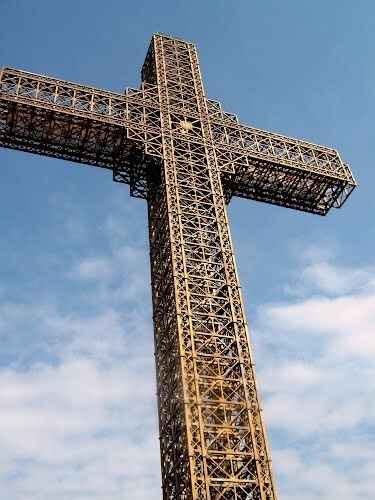 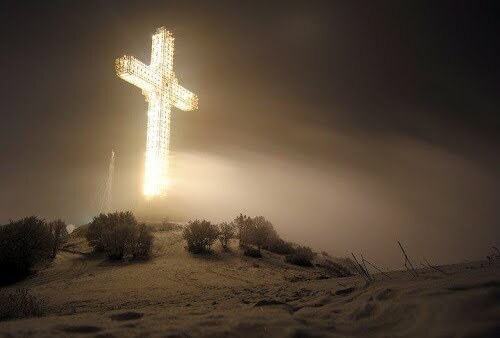 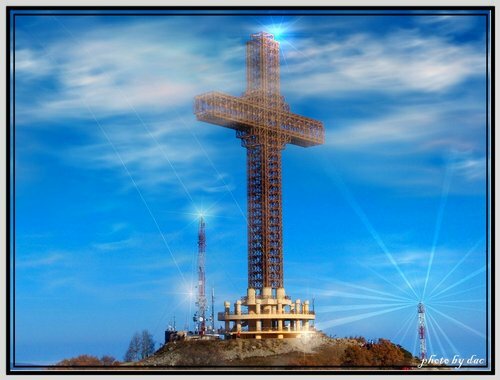 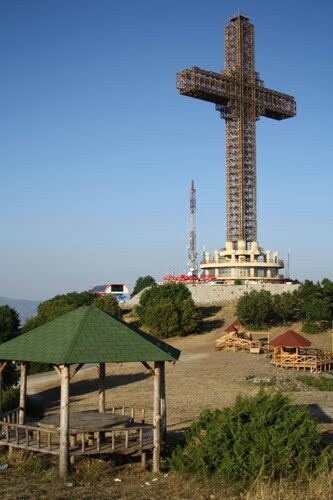 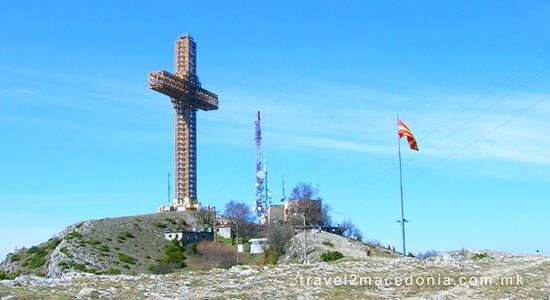 The Millennium Cross is a 66 metre-high cross situated on the top of the Vodno Mountain in Skopje, Republic of Macedonia. 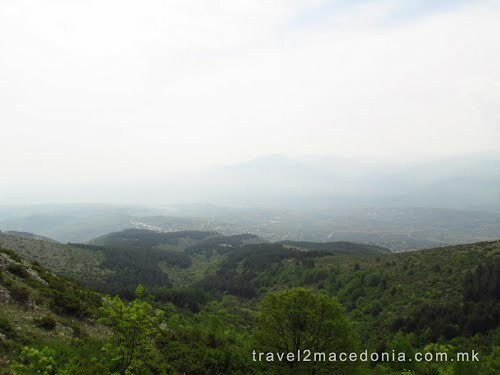 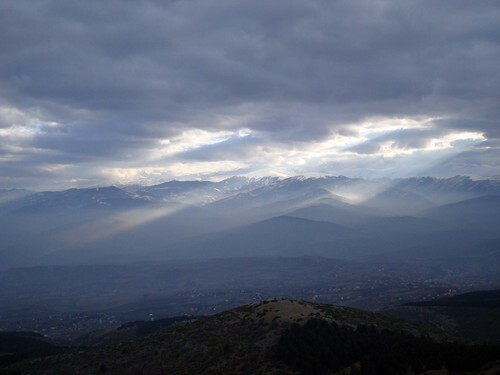 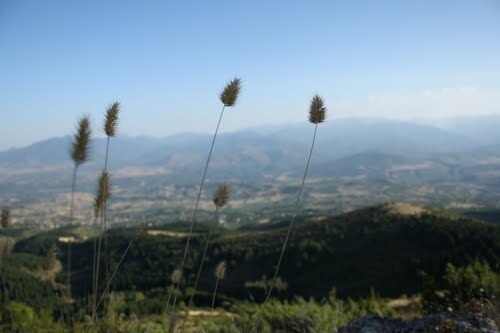 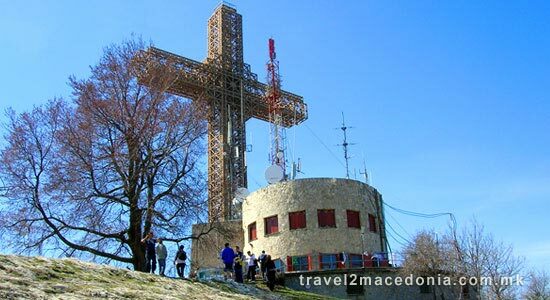 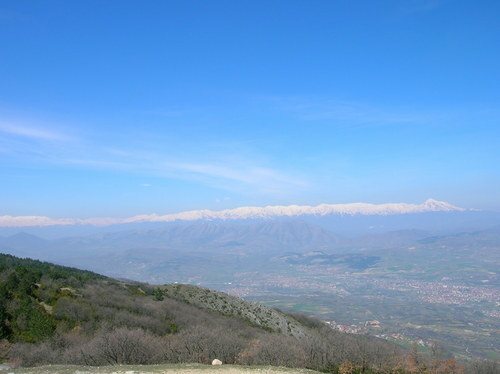 The cross was constructed to commemorate 2,000 years of Christianity in Macedonia and the world. 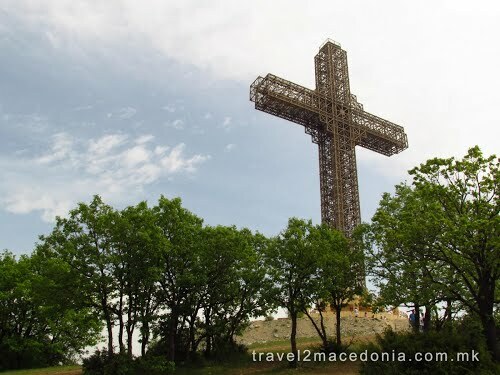 The construction of the cross began in 2002 and was funded by the Macedonian Orthodox Church, the Macedonian government and donations from Macedonians from all over the world. 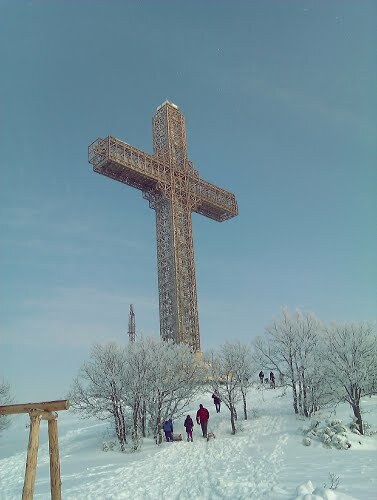 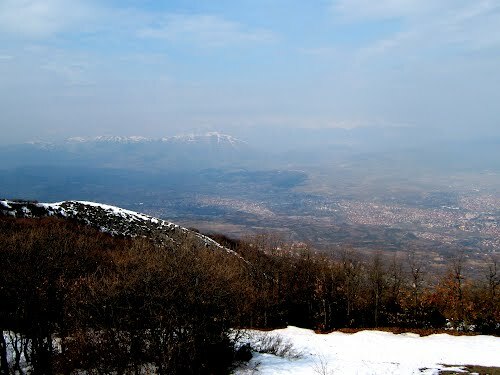 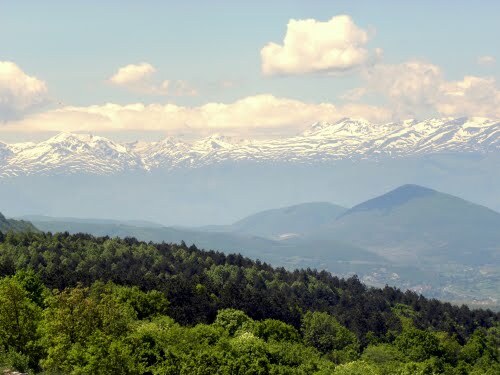 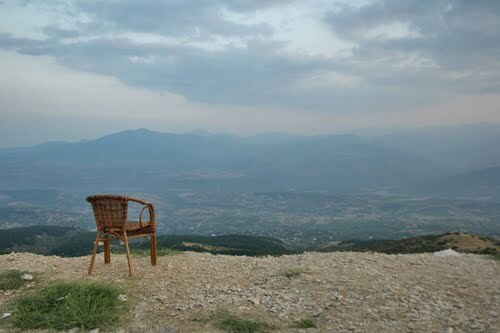 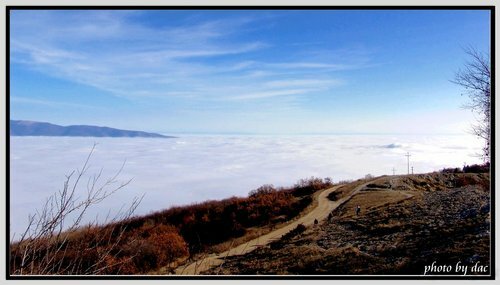 The cross was built on the highest point of the Vodno mountain on a place known since the time of the Ottoman Empire as "Krstovar", meaning "Place of the cross", as there was a smaller cross situated there. 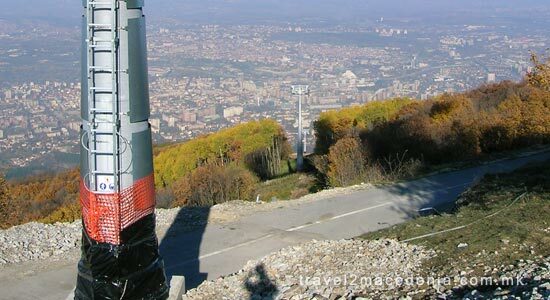 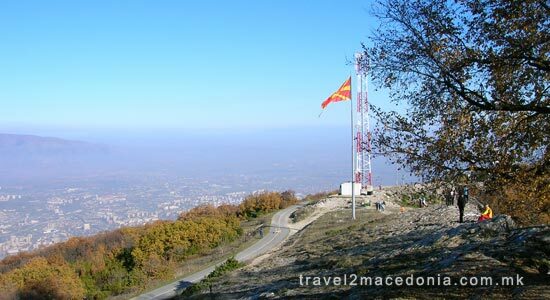 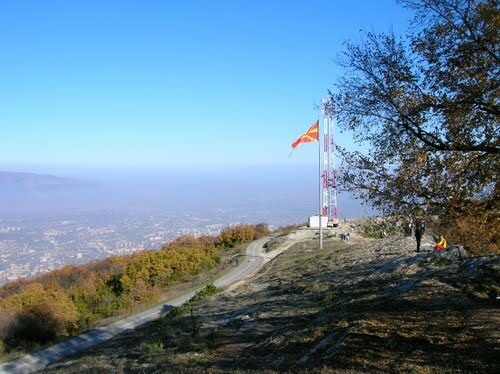 On 8 September 2008, the independence day of the Republic of Macedonia, an elevator was installed inside the cross. 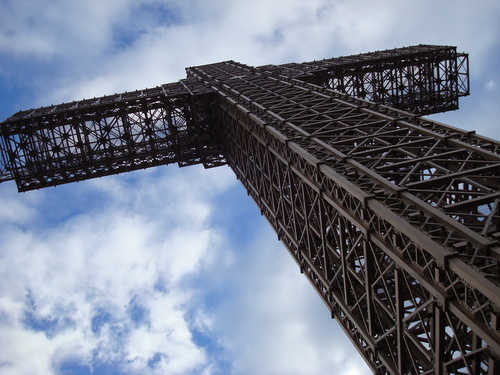 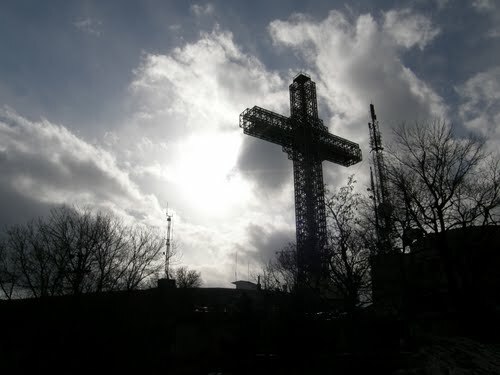 In 2009, a restaurant and a souvenir shop will be opened next to the cross.